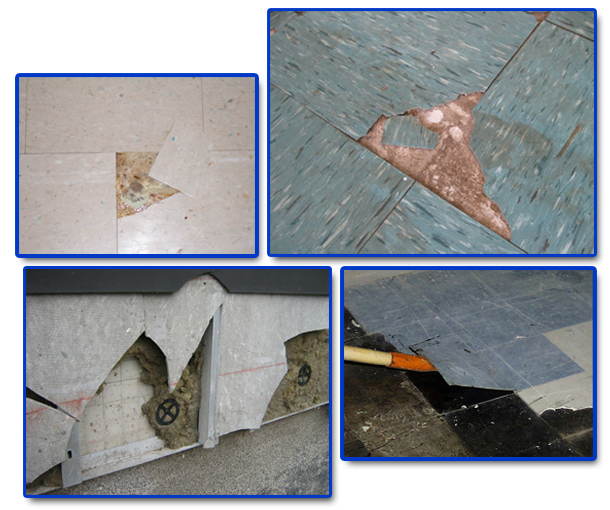 These types of products has been around since the 1920s and as they were popularly used for Commercial Buildings, Factories and Offices flooring and walls, homes that were built decades ago pose serious risk for asbestos exposure. Asbestos was used to improve the flexibility, strength, and insulating properties of vinyl plastic resin. As the material was sold cheap, easy to use, and dependable, there has been a widespread use of asbestos, completely eliminating the thought of endangering the lives of people who will be exposed to it. The vinyl floor and wall tiles that seem harmless to you can actually become a major problem that you need to get rid of at once — and you cannot do this without the help of asbestos removal experts. Don’t let the problem of asbestos stop you from enjoying quality living in your own home. Call us now so we can help you!